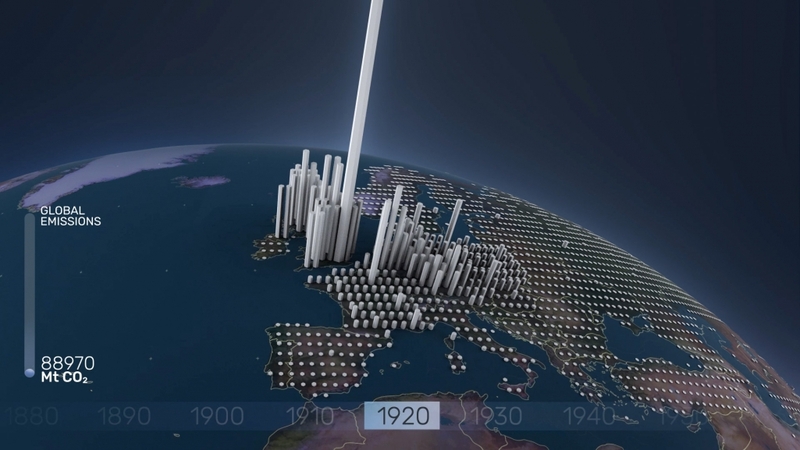 Together with the Potsdam Institute for Climate Impact Research (PIK), we developed an animated short movie that visualizes the history of carbon dioxide (CO2) emissions – and also the possible future. 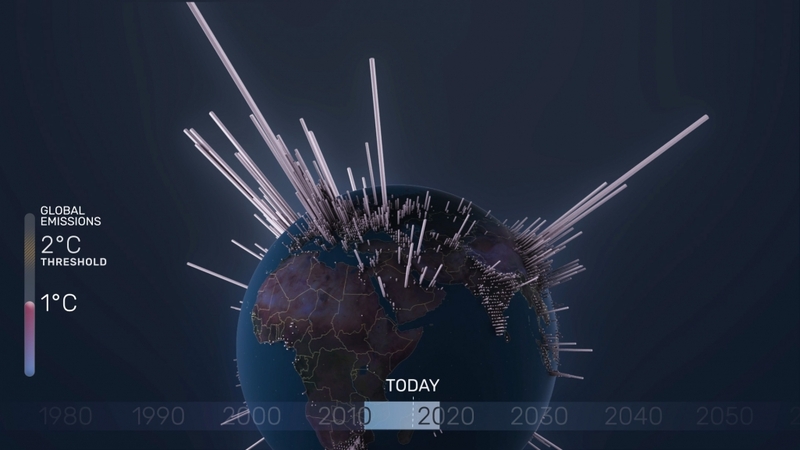 Greenhouse gas emissions are one of the driving forces behind climate change. 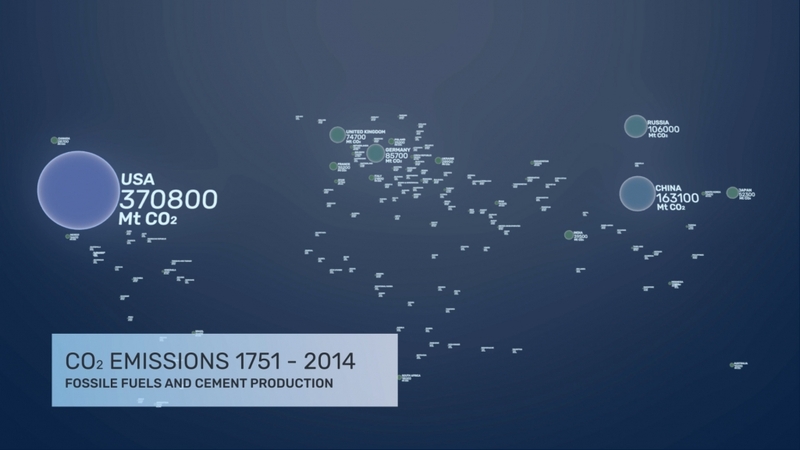 In our short film “A Brief History of CO2 Emissions”, we visualize the geographic distribution and the historic dimension of carbon dioxide emissions. 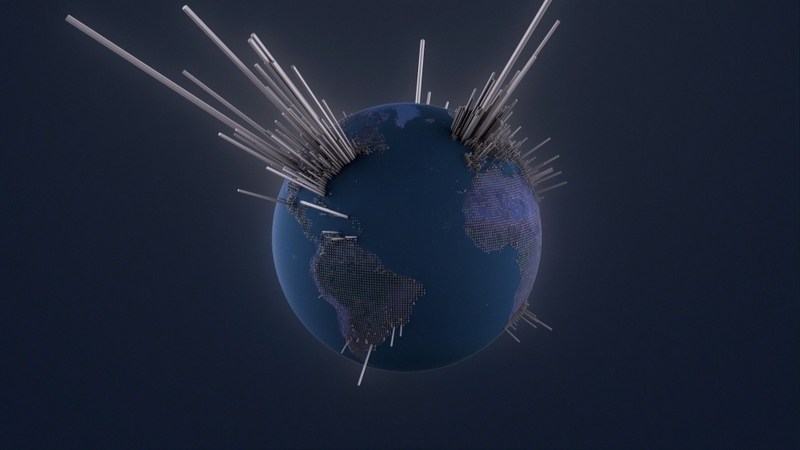 By combining data from the Carbon Dioxide Information Analysis Center (CDIAC) and the baseline projections of CO2 emissions by the Potsdam Institute for Climate Impact Research (PIK), we were able to visualize the CO2 emissions from 1751 to 2100 on a highly detailed geographical level. 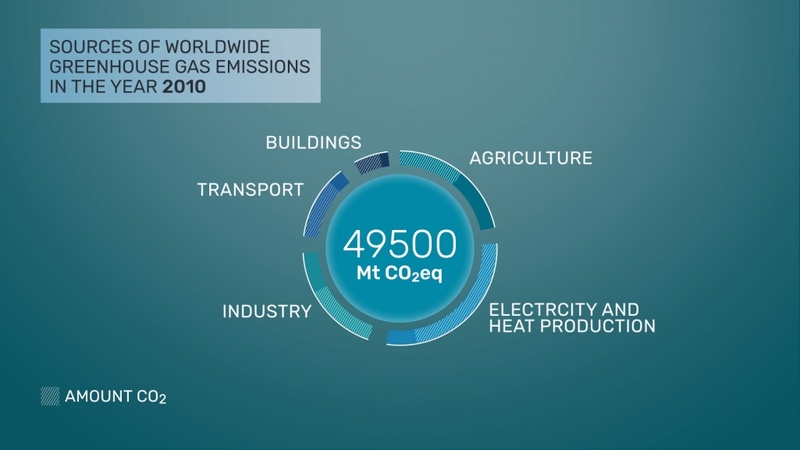 Our aim was to make the relationship between CO2 emissions and global warming comprehensible to the general public. Essential to our film is the concept of an emissions budget. At the 2015 UN Climate Conference in Paris it was agreed to keep global warming to well below two degrees Celsius. 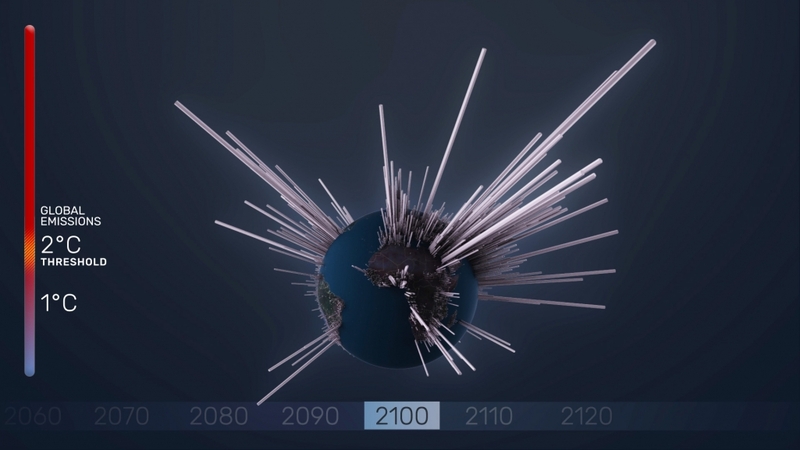 In order to achieve this goal, we can only emit a limited amount of CO2 into the atmosphere. Ultimately, we have to reduce the CO2 emissions to zero. 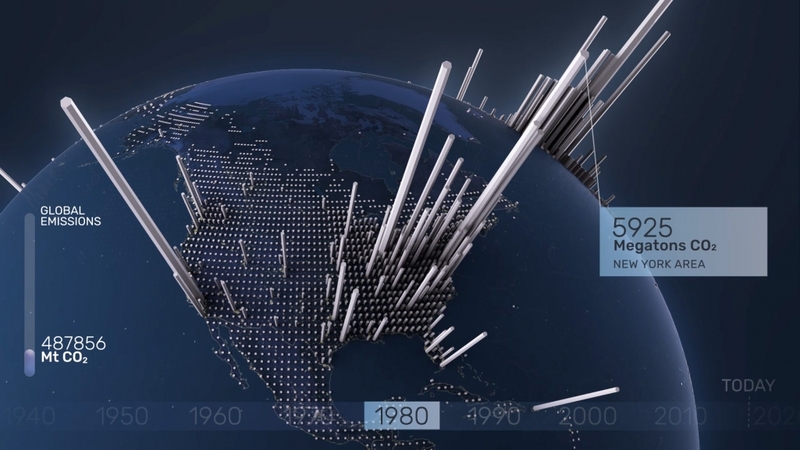 Animated information graphics and data visualizations were used to illustrate the complexity of the topic.